The Charles County Sheriff's office has suspended its three speed cameras because at least one was placed 300 feet outside of a school zone. 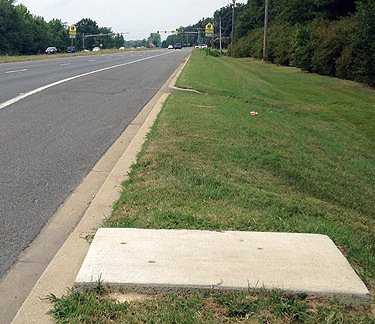 WASHINGTON – Thousands of drivers have paid speed camera fines in Charles County they never should have gotten. The Charles County Sheriff’s office has suspended its three speed cameras because at least one was placed 300 feet outside of a school zone. The Sheriff’s Office said Wednesday that commanders had recently identified an issue concerning the placement of a camera beyond a school zone sign on westbound Berry Road/Route 228. State law limits the placement of speed cameras to school zones and work zones. Now an examination of the entire program is under way. “We determined that until we could evaluate the entire program, we were going to suspend the program,” says Maj. Buddy Gibson. Out of roughly 4,000 citations, about 3,300 of them have been paid already, Gibson says. Drivers who have received a ticket from the Berry Road speed camera should not pay it. Drivers who have previously paid a ticket from the speed camera will receive a refund. Anyone with questions can call the hotline at 301-609-5971 or 301-609-5972 from 8 a.m. to 4 p.m. Monday through Friday. WTOP’s Andrew Mollenbeck contributed to this report from Waldorf, Md. The Associated Press also contributed. Follow @WTOP on Twitter.